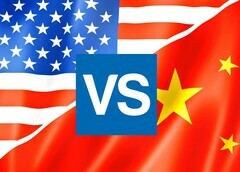 Even though president Trump claims that the trade negotiations between the U.S. and China have been productive, at least in the last few months, the overall atmosphere continues to remain hostile for the most part. This delicate predicament has led to increased prices for many goods imported and exported between the two superpowers, including certain computer parts and devices. However, Trump is now willing to delay the next wave of increased trade tariffs imposed on China and see how this would affect the negotiations going further. Trump’s goal with the trade negotiations is to convince the Chinese government to adopt a market-based exchanged rate for the yuan as opposed to the current price fixing imposed by the Chinese central bank. Trump’s announcement immediately triggered a 5% spike of the Shanghai Composite index, which is, according to CNN, the largest gain since 2015. While the negotiations may be close to a resolution, the bans on Huawei and ZTE are still on the table, and it will be interesting to see how these could sway the outcome.